Very far fetched at this time. However I do not mind a fixed lens FF camera from Olympus, i.e. digital version of this, as long as it has similar performance and specs to the X100s but made smaller. Very interesting responses, I have no particular desire in Olympus going FF, and don't think they will, however i find interesting that he left the door open. Your idea of a digital version of the 35 RD is also interesting, I wonder ( with my limited technical background) how hard will it be for Oly to make such camera. 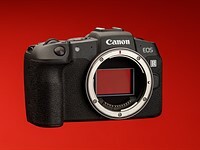 11 Death of Olympus AND Canon now?